Mark Zuckerberg, founder and CEO of Facebook (you may have heard of it), is becoming quite a hit on the big screen lately. 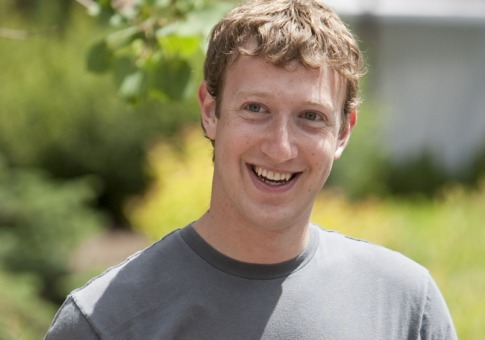 The Social Network, a movie about Zuckerberg and the rise of Facebook, is set to be released on October 1st. But just prior to that, it is being reported that Mark Zuckerberg will be lending his voice – actually has already made the recordings – for the upcoming season of The Simpsons. According to NYMag.com, in the episode, dubbed “Loan-A Lisa,” Lisa decides to help fund Nelson’s new bike company. While attending an entrepreneurs convention, the two encounter Zuckerberg, who reminds the kids just how many famous billionaires — including himself — have dropped out of school. The rest of the plot is a secret, but we’re pretty sure Zuckerberg then steals their idea for the bike company and ends up making another billion dollars. Look for the episode to air as soon as October, perhaps just in time for the Oct. 1 release of The Social Network. Just yesterday, Facebook reached 500 million users. And to celebrate this great achievement, Mark Zuckerberg released a video and did an interview with Diane Sawyer.